Something’s been puzzling me for a while. I crave other stimulation when I paint. Specifically I seem to need something to occupy my brain’s language centres (that live in the left hemisphere of the brain). If I try to paint in silence, though I can still paint, there isn’t the same joy or flow to it. It becomes less ‘automatic’ and my thought chatter tries to get involved and start analysing what I’m doing – killing the flow. So I’ve learned to distract that left bit of my brain with something immersive such as talk radio or interesting audio book. 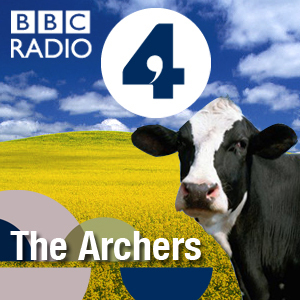 For those of you not in the UK, The Archers is a long-running (since 1951) BBC radio soap opera set in a farming community in the midlands. There’s an hour and a half of it’s glorious distraction every week. It’s not at all cool. So it’s definitely my guilty pleasure. But it produces my best work! I feel like I should be in a mediative, completely ‘present’ state….or at the very least listening to classical music when I paint. But the truth is that for a joyful painting experience, where I feel ‘in the flow’, I seem to need the mental distraction that soap opera’s best at! What’s it all about? Flow. That’s interesting because, whilst I seem to need my left-brain to be distracted when I paint, having it dominate, as it does when I try to talk when painting, is a sure-fire way to come out of ‘flow’. The whole concept of being in the ‘zone’, or ’Flow state’, was developed in the ’70’s by psychologist Mihály Csíkszentmihályi. It’s the mental state in which somebody performing an activity is fully immersed in a feeling of energized focus, full involvement, and enjoyment in the process of the activity. People lose track of time, and of self-consciousness. But there seems to be something about the right-brain dominated nature of painting which means that a painting flow often needs to be accompanied by activities for the left brain. Do you require left hemisphere distraction? What gets you in the flow when you paint? Does your left hemisphere need a distraction? Music? Reality TV even? Or do you do your best work in absolute silence? And how does the flow feel for you? I’d love to hear your experience of this. I find painting in silence very off-putting too! I have to have the TV on in the background with something like Friends or Big Bang Theory on.. It always puts me in a good mood and I need that in order to feel creative! I usually turn on the TV and listen to the news … shame not to have a soap like The Archers! I like some radio stations to listen to (usually “old stuff”) but then when I hear adverts they puts me off any flow I’ve developed – I want to strangle my radio when they come on!! I listen lots to my own choice of music on Spotify mostly though. Then there are many times the “sound of silence” soothes my aching ears, helping me concentrate on my painting. Hi Anna, happy thanksgiving to you too! I am like you, I have a hard time concentrating when it is too quiet around me, so I end up eating while painting (not a good thing). Therefore, I either listen to book tapes if I have one handy or even put a movie on tv . I don’t watch the movie but it’s there and keeps the other half of the brain as you say busy. Happy painting and thank you for being such a wonderful inspiration. I listen to Adele Radio on my Pandora Radio ap. I occasionally change to Jesse Cook Radio…. I can work in absolute silence and do. But many times if I’m going to have a distraction I prefer it to be a movie that I’ve seen many times & love. Music is generally too much of a distraction because it calls up emotions I might not want to deal with while working. Yes! I never gave it a lot of thought until your blog article, but my preference when painting is CBC radio (Canadian public radio) which is most often a stream of talk radio. Painting in silence always invites the self talk which is not conducive to a good session. As an experiment I am going to try an audiobook as the involvement in the plot might intensify the experience. I have to admit Anna, I don’t do well painting unless I’m listening to music. That’s just the way it is. Honestly – I thought that everyone listened to The Archers while they painted. Our close friends do – maybe that’s why they are are close friends….! 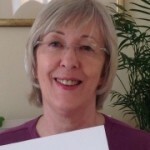 I’m with you Anna, radio 4 and the Archers are definitely cool in my book! I can re-live an episode just by looking back through my sketchbooks and drawings. I always work to music unless others are sleeping! The music keeps me energized and then I can get into an art zone where I work for hours. It’s such a welcome relief from the rest of my day. Makes me wonder if I should listen to music while I’m trying to memorize words in a new language. Thanks, very interesting and I’m going to try listening to a book while I paint. I used to love listening to The Archers whilst cooking the evening meal. By the time I had my three children, I had stopped listening to The Archers, or any radio really, as life was too busy and noisy all the time! 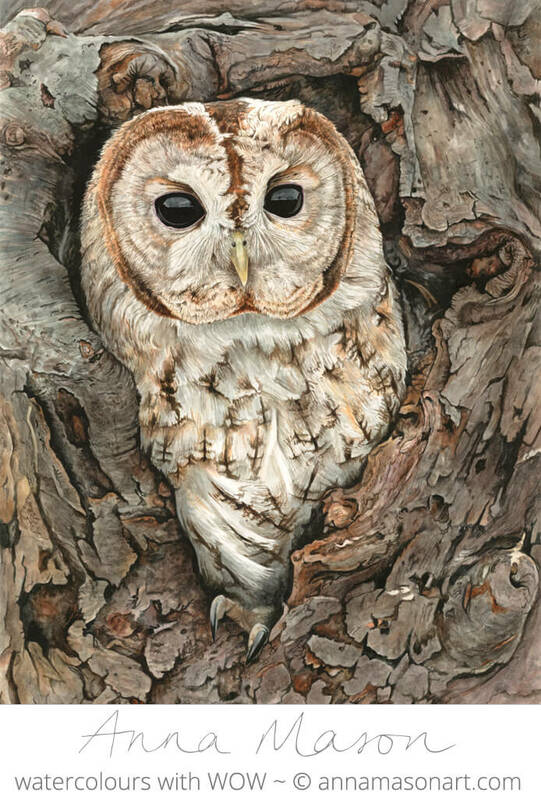 Although all my children are grown up now, I think that is why I paint best in absolute silence, in my shed, away from it all, except the occasional bird song. When I paint form, the right music combined with a painting begining to jump off the easel gives me the ultimate high in life. I know this may sound odd but is not something I admit to everyone. Your blog however has promptd me to admit it to you. Satirical TV comedy does it for me. Mock The Week or similar. I find music either takes over completely or I play a CD and don’t hear any of it. Yes! Music works best for me if it is songs with words. And I love to listen to thoughtful discussion programs on the radio while painting. But I find I have to FIRST have figured out the painting, i.e. done the left-brain work of planning and the composition, beforehand or I can’t concentrate. After that is done, the left brain is happy to focus on a program and leave my right-brain alone while I paint. THanks for the great video! A very interesting book on L/R brain and how they work together is My Stroke of Insight by Jill Bolte Taylor, a neuroscientist who had a massive L brain stroke and managed over years to re-integrate her brain. Happy Thanksgiving to you! We can all be thankful for our brains….as well as our hearts and souls. Oh goodness…you have gone way beyond what my brain can work on. t.his will take some time to consider. I am a woodcarver and a painter. I often wondered why I like to carve or paint with the TV on….now I know! I began painting to distract my brain from the constant nerve pain I was having after having both knees replaced. I found that what felt like fifteen minutes was three hours of relief. My small painting area has grown into my entire dining room and has open so many doors of opportunity for me. I do paint with one CD one. It lifts me up and before I know it the music has stopped so I now but it on replay. I have been able to donate many paintings to the Children’s Mircle Network auction and helped many people with the proceeds. I have lost weight since I can’t eat and paint and I am now pain free. But I am left with this passion and need to paint which has turned into a great thing in my life. Thanks Anna I love you website and paintings. I often listen to music, audio books or Abraham Hicks lectures on youtube. If I need to really concentrate, though I prefer silence. 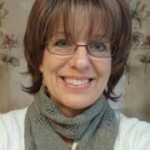 Hi Anne, personally I don’t go into this analyzing stuff. I must admit I have read Drawing on the Right Side of the Brain. and did do some of the exercises. but have found. for me stop worrying what you are doing and just do it. Relax and let it flow. If my creative juices are slow, I stop and just do some brow-zing, and research on what I like . I spend time each day looking at other artist for inspiration. Then look at what i have and what type of creation am I thinking about, sort may colors, sort my materials, and then rest.. when I worry about it , there isn’t any inspiration. My greatest time of really thinking is when I am pacifically studying and taking a course in art. then it becomes a learning experience and not a frustration . art should be fun and relaxing, an a part of yourself. Just relax and not to worry. I love your art work, and know you have studied and now are blessing us by teaching us, that’s what it is all about learning, sharing, giving. and enjoying. ……hugs. In 2009 I suffered a small stroke which affected my right side and balance. shortly after I saw a a tiger and tried to copy it. what transpired amazed me And since I have been trying to paint. What amazes me and friends is that I have a verystrongtremor sometimes I am unable to feed myself however when I paint it ceases in my right hand! I would love to know the mechanics of this phenomena especially as I knew a gentleman who through a devastating stroke was unable to speak in English but could speak German , this was really weird. I enjoy your emails , so informative . I couldn’t agree more Anna. I confess I have never managed to acquire a taste for the Archers 😉 but audiobooks are a wonderful treat when I am painting, I also love BBC4 comedy shows and Woman’s Hour and podcasts such as Serial and NPR interviews. 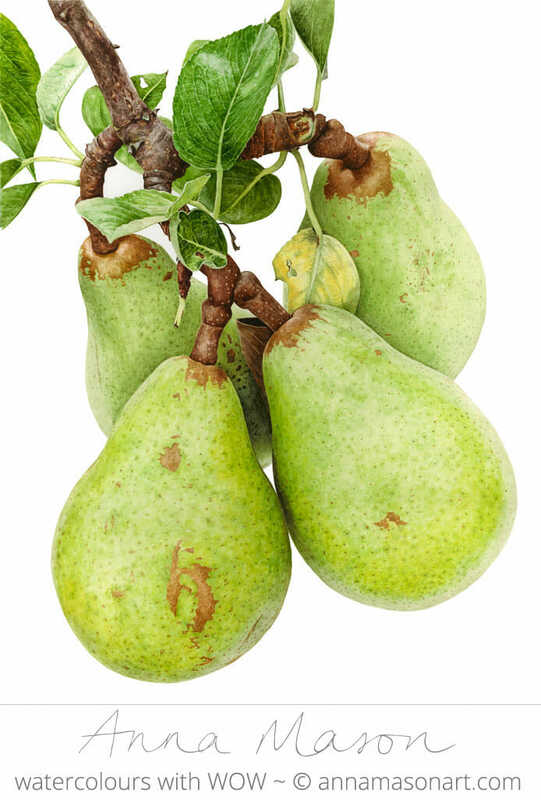 Thank you for your wonderful hints, I am halfway through your pear tutorial now, wish me luck. ..and also Post Be-Bop Jazz spotify..
Art + Books + Jazz = reason to live. Yes… I definitely have to listen to music when I paint.. Here in North Carolina, USA, we have a genre of music called Bluegrass, and I am totally addicted to it. I listen to it all the time, and when I paint, it helps get me focused. I can paint for hours when listening to Bluegrass music. I get so involved, I forget what time it is. LOL.. So no worries, Anna, your distraction is totally OK. Keep up the good work !!! I too discovered quite some time ago that listening to talking audios (stories, interviews, etc) get me in the painting zone much faster and keep me there for longer stretches. Couldn’t get same effect listening to music. And since the speech centre resides in the left hemisphere along with reasoning and analytical skills it made sense that keeping it entertained would prevent the inner critic from reaching the intuitive/feeling right hemisphere. Then, it’s as though my paint brush can dance uninhibited around the canvas not having first to recall learned theories and hesitate due to doubt. As soon as I “think” about what and why, I loose the flow. This process doesn’t eliminate the need to study, learn and practice because these still have to be stored somewhere in the brain. Being in the flow (or in the right hemisphere) enables us to recall at the right time and trust the process. It’s an amazing process and I was thrilled to read your blog and know that this isn’t just “all in my head” (well…..in a way, it IS all in my head! LOL! Loved the video – explains so much. PS: I’m definitely going to check “The Archers” radio show! Oh, I am so thrilled!!! I am not alone….and your choice of listening pleasure sounds great to me. I usually listen to TV , it must be something I can listen to and not be distracted at the same time. Thanks so much…. Made me smile all over my face!!!! Have a great day!!! In my early years always I did my drawing without any distractions, same thing in Art School as well. And today I prefer silence (as much as possible) when painting & drawing. It is much easier I find to “get into the zone” and once there, time kind of stops. Don’t follow the Archers, but have just rediscovered Audiobooks…. When I am colouring, I like to listen to audiobooks. Our radio serials in South Africa have died off, so what to do? As a dedicated multi-tasker I found that “listening” to TV was my answer – most of the time there’s little need to watch! Audio books might also be a good answer if they’re available. I live in a big old farm house and all my children have gone. So I have plenty of rooms which I could use as my painting studio. What do I do? I have my painting set up in my living room where the tv is located. I would hate to have to move to one of the empty bedrooms to paint. I have to be in the center of the house with the tv on! Plus it has the best light there too. I am a full-time calligrapher and I listen to audio books all.the.time. I can find my flow as soon as I plug in and lose myself in a story. My skills of observation and critical visual discrimination are heightened immediately. I can’t wait to have enough experience and knowledge of painting and working with watercolors to be able to step into the flow as I do with calligraphy. For me sitting at my table painting the most perfect is – it is summer, the window is open and it is very silent, some birds are heard but all very summerquiet. But what makes it perfect is the distant sound of the city. Cars, people small noices. Then I’m in the flow! Well Anna, I love the Archers too. But the very best thing for me is to listen to Audio Books while I paint. Nothing better than somebody reading you a story, and there are loads out there to download. I would definitely paint less often if there were silence in the room!! What an interesting blog. I also listen to Radio 4, especially The Archers omnibus on podcast (The Rob and Helen story is driving me mad!!!!) when I’m painting. I also “listen” to the TV when Im doing cross stitch and other crafty things. I used to attend painting classes where absolute silence was a requirement and I always felt uncomfortable and spent a lot of time doubting my ability. That atmosphere definitely stifled my flow. Now I love painting the step by steps or my own compositions with the radio on and a cup of tea at hand. bliss☺️. Ha.. glad I’m not the only one, cause yes, I do need my music… loads and loads of! But when I’m working on the step-by-step ones I listen to your instructions and after some time I really do feel the need of turning on my Ipod/radio! Then there is a second door of my studio that leads to the balcony, where I in summer can hear the birdies! Mind you, talking about a soap, years ago I saw the Eastenders soap for the very first time. I -as a Dutchy- thought it be a good way to improve my english. And after a few episodes I knew several characters… too late I was kinda addicted. I really never thought about it, Anna, however, the video piece was extremely interesting. All of your “art education” blogs have nuggets that lodge in the brain and help to explain a lot relative to being creative. Since I am a “beginner” and am usually listening to a lesson while doing the exercise, I find that watching it first and then watching it while I create the piece is the best way for me. Otherwise, all the talking distracts from the doing. If music is on at home I enjoy it while working and it doesn’t distract from the task at hand, so I guess the answer, now that I think about it, is I like to listen to music while working but quite often it is quiet and I find that relaxing as well. Guess it depends on the mood and the involvement at the time. I also listen to music when painting. What I find as odd, is as I’m sketching out the picture to paint I start to put it to music. Sometimes classical, sometimes jazz, or Irish, Rock or anything that the picture relates to my mind. I was in the zone one day and my wife came in and she said my painting strokes where like a conductor and I was painting with both hands. I have always been ambidextrous but I usually paint with my left hand. I think listening to music has a tendency to sooth the left part of the brain and allow the right part of the brain to lead during my time at the easel. The music has to be music without singing though. Strange! 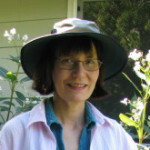 Hi Anna: I moved to the US in 1980 but still remember listening to the Archers at my grandparents farm house in hertfordshire. I began painting a couple of years ago and try to find to find a little time every day to sit at my dining room table and take out my paints. My music of choice – probably not considered very relaxing by many – is alternative rock. I definitely get lost In the beat of Breaking Benjamin or Linkin Park and before I know it I’ve been painting for hours! I really enjoy your website & look forward to your emails with tips, tutorials. Well, shut my mouth! I’m new to all this and I’ve been trying to focus really hard…..maybe too hard. I CANNOT WAIT TO TRY THIS! Thanks for sharing Anna! Don’t talk to me about Helen and Rob, Susan! SOOOO stressful! 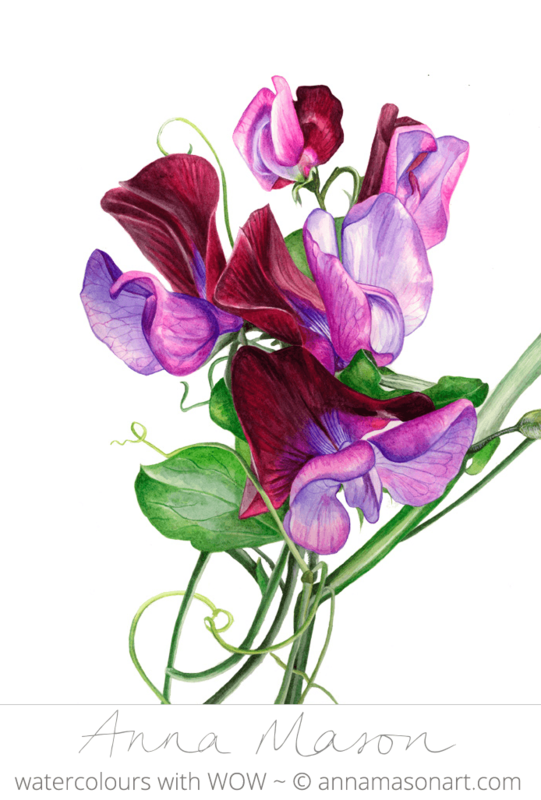 Dear Anna, music while I paint is my indulgence and on occasion, the afternoon play on radio 4. Thank you for that very interesting You tube film re the brain hemispheres . I listen to audiobooks, in English which is not my first language (I am Danish). Not classical litterature, the kind of best-seller adventure mystery books where there is no doubt who is bad and who is good, where the good ones always win and it doesn’t matter if you miss out a bit every now and then. Funny, I wasn’t aware this is left-brain food, but makes sense to me! If I don’t listen, I tend to overwork and mess up my work. I just watched the movie, very interesting, but it arises one question – they state that the left hand is controlled by the right brain and vice versa. So being a right-handed person, howcome you can still get the right brain work flow? Theoretically you should draw with you left hand then, or ….? I certainly can’t, but I think I could learn if I was forced to. At a point where I had my right hand operated and could not hold pencils and such for a very long time, I tried writing with left hand. I got a reasonable result, but only when I wrote mirrored writing! Brain is certainly a very complicated and intriquing mechanism…. Movies, I put the TV on a mission vie channel. I can’t deal with commercials they totally disrupt my vibe. It’s great to have this guilty painting/listening occupation validated! I live in an area with many meditators and spiritual people and they always comment that “it must be like meditating to paint like you do”. They’re shocked and sceptical that I’m in the flow when I listen to talks or music and because of their comments I’ve even questioned myself about whether I should try silence or not. Well, I did. And it didn’t work! Way too much self-criticism and thinking about colours rather than being intuitive. So I went back to listening or having the tv on. So lovely to hear all the other comments from the same kinds of people as we are. Hi Anna-I found your school via the Craftsy class and your method is wonderful for me–I’m trying out watercolor after working only in colored pencil, so I was really hesitant to give up the control I have with that medium. After finding your class I realized I don’t really have to, which has been great! in any case, this post prompted me to find out how to listen to the Archers from the US last night (I live in Massachusetts). I painted well, WELL into the night as I listened to my first two Omnibus episodes. Thanks for the great (and funny:)) tip! Soft classical music. I completely lose track of time and I’m so immersed I don’t even realize where I’m at when I stop. It’s strange really..